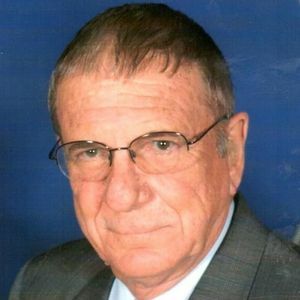 David L. Guimond, 82, passed away on April 4, 2019. Born in Concord, NH on February 6, 1937, he was son of the late Leo and Beryl (McLaughlin) Guimond. He enjoyed 62 years of marriage with his wife, Carmen (Bergeron) Guimond. David was a 1955 Graduate of St. John's School in Concord. A lifelong resident of the Manchester and Goffstown areas, he spent time working for Commerce Clearing House, Pitney Bowes, and later did appraisals and real estate. David was a former member of the Lions Club and volunteered as a leader for Boy Scouts when his children were young. In his free time, David enjoyed camping with his family, remodeling his home and playing bridge. A devoted husband, father and grandfather, David was the pillar of strength for his family and will be deeply missed. David is survived by his wife, Carmen Guimond of Goffstown; his son, Daniel David Guimond and wife Judy of Salem, NH; his daughter, Cindy Lee Ott and husband Jeff of KY; his sisters, Nancy Keown and husband Johnny of TX and Betty Cleary of OR; his grandchildren, Jacob Ott and wife Kenya of IN; Logan Ott and husband Josh of KY; Matthew Guimond of Australia; Gina Guimond of CA; Brianna Wall of NH and Brittany Gallagher of MA, as well as many nieces and nephews. In addition to his parents, David was predeceased by his daughter, Rose Marie Wall. Services will be held privately at the convenience of the family. In lieu of flowers, donations may be made in David's memory to the Alzheimer's Association. Add your thoughts, prayers or a condolence to David's guestbook.